* Links to PREZI presentations on constructive forces, destructive forces, and glaciers. There are also PDF's on each of these for students to use as guided notes if you want to white out certain parts of the notes. 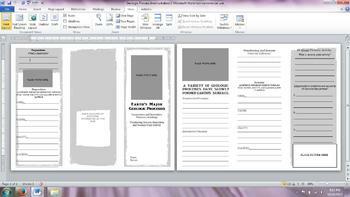 *A brochure template for students to create a brochure about erosion, weathering, deposition, and plate activity.